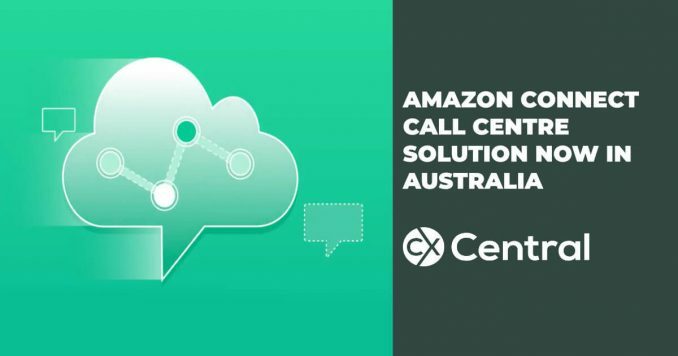 The rumours have been swirling around for months about the Amazon Connect call centre solution coming to Australia and in June 2017, it arrived. Amazon Web Services (AWS), the gold standard of web hosting, have released their own contact centre cloud solution known as Amazon Connect. In what might be a concern for some of the current cloud solution providers, Amazon have also partnered with Zendesk, Zoho and Freshdesk that provide very popular cloud-based customer management solutions providing organisations with a seamless fully integrated technology platform. And it doesn’t just end there, Salesforce has also announced integration with Amazon Connect so its clear that this is going to be a very viable solution for businesses of all sizes. Its set to shake up an increasingly crowded market with Amazon making a clear play for a business that is projected to be worth nearly $10 billion by 2019. There had already been some movement recently with the larger traditional players such as Genesys acquiring Interactive Intelligence and its been well reported that Avaya recently filed for Bankruptcy as they look to restructure their business as they struggle under a debt load of over $6B. So what is Amazon Connect? The core of Amazon Connect is a Virtual Contact Centre that Amazon claims can be set up in minutes and requires no special training to use. There is no infrastructure to deploy or manage, so customers can scale their Amazon Connect Virtual Contact Center up or down, onboarding up to tens of thousands of agents in response to business cycles (e.g. short-term promotions, seasonal spikes, or new product launches). Amazon Connects self-service graphical interface makes it easy for non-technical users to design contact flows, manage agents, and track performance metrics  no specialised skills required. And commercially, it is a consumption-based model where you only pay for what you use. What else can Amazon Connect do? Essentially it can do all the traditional call centre functions including Skills-based routing, a range of different reporting options and dashboards in real time and historic metrics, call recording, IVR etc. But is also offers Natural Language Input using Amazon Lex automatic speech recognition (ASR) technology and natural language understanding (NLU) that powers Amazon Alexa enabling you to develop Natural Language IVR and automated responses. Then, of course, there is call recording, data analytics and more by integrating with other Amazon resources. How much does Amazon Connect cost? Most of the cloud-based contact centre models I’m familiar with in Australia are typically monthly per agent models that you can switch on and off as required albeit you are normally locked into some sort of minimum licence as well as some one-off costs to set everything up that in some instances, can be amortised over the period of the contract. You would also pay telephony costs on top of this. With Amazon Connect, customers can set up and configure a Virtual Contact Centre in minutes and pay only for the time callers are interacting with Amazon Connect plus any associated telephony charges. Let me say that again – you are only charged by the minutes that Amazon Connect is used, on top of telephony costs  similar to the per-use pricing model that AWS also applies to its cloud services (of which this website is hosted!). So no monthly costs per agent – essentially a pay as you go solution. You can view their current pricing model for Australia here. Is Amazon Connect reliable and scalable? 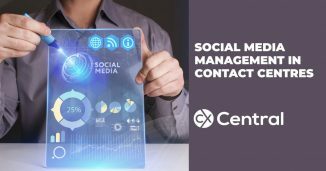 Ten years ago, we made the decision to build our own customer contact centre technology from scratch because legacy solutions did not provide the scale, cost structure, and features we needed to deliver excellent customer service for our customers around the world. This choice has been a differentiator for us, as it is used today by our agents around the world in the millions of interactions they have with our customers. And it’s not just Amazon using it. GE Appliances, AnswerConnect and Bandwidth all use Amazon Connect for their contact centre operations. 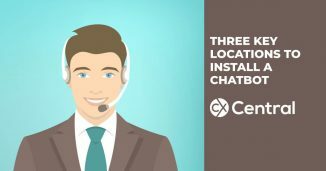 Is Amazon Connect it a viable solution for all contact centres? There is no doubt that Amazon Connect will disrupt the market with very competitive pricing, strong integration with leading CRM tools (e.g. Salesforce & Zendesk), access to natural language capabilities and backed by the reliability of the AWS network. Whether its for everyone though is a much tougher question. For now, I think it will be more steered to the much larger centres backed by a suitable team of in-house IT/Telephony experts. This would certainly be concerning for the likes of Genesys, Avaya and Cisco. But just because you’ve been running Amazon Connect in-house for 10 years doesn’t replace decades of continuous development and expertise in running millions of contact centres across the world so at least for the short term, it’s not going to impact the big players too much. But it will most certainly be on their radar and expect some fierce competition as Amazon Connect gains traction. Where the real opportunity lies is going to be the smaller centres that are looking for a cost-effective solution without any of the headaches with IT integration. To be able to have a fully integrated system including telephony, live chat, CRM and ticketing options all in the cloud that just ‘works’ would be a dream come true for many. I don’t think it’s quite there yet, but it won’t be far away. When that day arrives, for the smaller players in the cloud contact centre market, Amazon Connect could emulate its retail parent and quickly become the dominant player. Backed globally, cheap prices, 24/7 support and a reliable network may just be enough to sink smaller operators as customers opt for the stability of a larger player. Whilst it is possible to try and go it alone, Amazon Connect has a range of technology partners that can help with installation, set-up and ongoing management. To arrange a no obligation demonstration of Amazon Connect fill in the details below. 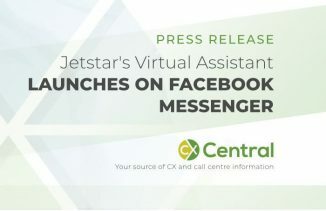 In an industry first, Jetstar’s virtual assistant, Jess, has extended her services to Facebook Messenger enabling customers to receive real time customer service using artificial intelligence technology.